Taking place at London’s Olympia National Hall, Retail Digital Signage Expo (RDSE) is a dedicated event featuring the entire range of suppliers to the retail industry, from screens, kiosks, software providers, integrators and content management through to video walls, media players, networking solutions, installation and more. 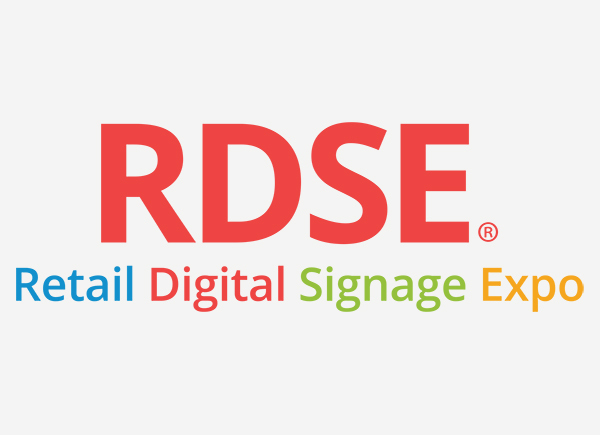 RDSE has proven to be the ideal platform for the key retail and brand digital signage stakeholders to gather together in the same place at the same time. This industry leading event brings together thousands of retailers and brands with hundreds of potential new suppliers. The top names in the retail industry will all be represented to take advantage of opportunities to meet potential customers, connect and network with thousands of other retail and brand professionals. It's a central and accessible platform for the retail community to discover the latest product innovations, establish your voice and stay at the forefront of visitors' minds. Retail Digital Signage Expo combines forces with the co-located RBTE and retail Design Expo to make Europe's largest retail and branding event! This readymade audience of retailers and brands includes all the key decision makers and influencers for this type of digital signage investment. In addition to the wide range of vendors, digital signage topics will be addressed in the dedicated conference programme at the show. The RDSE conference programme delivers thought-provoking and inspiring content across various retail solutions, trends and technologies involved in retail digital signage.